According to a recent examination by global professionals relating to the failure of risk management controls with respect to financial exposures many of the failures can be attributed to very specific technology failures. This does not excuse the vast amount of other shortfalls, and apply blame as you see fit arguments. It does highlight that these did certainly not help the situation any, and in fact exasperated it to some degree. 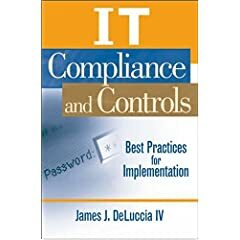 A few cogent points highlighted in the 36 page report are eerily applicable to all organizations, and should be a flare to all audit, security, risk managers, and compliance personnel. PDF Report can be downloaded here. This is especially dangerous considering that many businesses choose to operate separately initially to insulate interruptions to the business at large. Information systems are generally incompatible at the beginning of any integration. This is due to the lack of pre-planning and enterprise M&A integration methodologies within the acquiring firms. Organizations should take immediate action if they have acquired entities without consolidating these technology systems, or at the very least routing ALL traffic, logs, compliance controls, and processes through the acquiriing entity. This creates both friction and a need for efficiency – two very powerful forces that will result in immediate transformation of these information technology environments, in the right direction. This effects the ability to ensure daily consistent delivery of data and information technology services. In addition, historic activity is just as important in managing current data environments. Lacking such clarity and statistics requires executives to manage blindly without any context and sensible barometer of delivery and achievable commitments. This finding simply highlights waste – waste in resources; talent; time; bandwidth; budget, and brainpower. In an age of interconnected capabilities such requirements for dual systems should becoming sparse and rare. An interesting message echoes throughout the report was risk managements lack of complete visibility into the firms’ risks. A point that is both similar in nature and impact to CIO and Technology executives alike. How well do we professionals truly understand what is happening and has happened within the business information systems? Is all the data that is pertinent provided and managed? Peter Drucker would certainly ask – Are you fully aware of the system (not the one computer or the e-transactions, but the technology system as a whole)? Are you making choices based on all the right information, or based on the information you have (right or wrong)? The crossovers from professional risk management and technology leadership are clear, striking, and very relevant. It is prudent that today’s leadership is aware and armed with the skills across many trades – risk management in particular – to truly leverage the centuries of experience that exist within arms reach.